Satoshipoint’s Bristol ATM processed £38,000 ($61,500) worth of transactions this August, indicating that the bitcoin market outside London should definitely not be ignored. 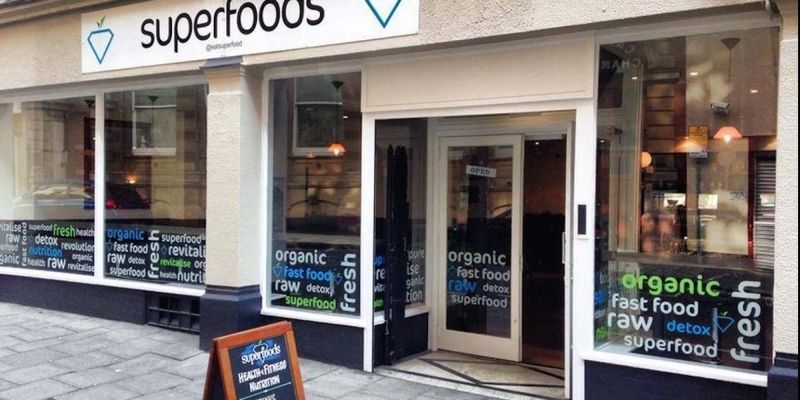 The bitcoin teller machine has been installed in a restaurant called Superfoods since June. According to Superfoods founder Charlie Furnivall, the machine has been good for business. He reported an uptick in foot traffic to his restaurant, which he describes as a “fast-food restaurant with healthy food”. On its menu are wheatgrass shots, protein pancakes and salads. The restaurant also accepts bitcoin. “We’ve got customers coming in and using the machine. We’ve got people using it most days. It’s definitely been good for business for us,” he said. The Bristol machine has even attracted users from neighbouring countries like Wales, as well as local regulars who are loading up on bitcoin, according to Furnivall. Satoshipoint operates four bitcoin ATMs in the United Kingdom: two in London, one in Brighton, and the Bristol machine. Three of the ATMs are Robocoin units, which offer two-way transactions between bitcoin and fiat currency, and one is a one-way Lamassu version that only allows customers to buy bitcoin. Its London ATM will be featured on a Channel 4 News programme on bitcoin that will air tonight in the UK. That machine is located in a restaurant called Nincomsoup in the Old Street Tube station, which serves the city’s technology startup quarter, the so-called ‘Silicon Roundabout, which is home to firms like Airbnb, Last.FM and the bitcoin-focused co-working space T15B. Harrison said his firm already has an additional ATM that it is seeking to deploy. He is currently scouting potential locations for it, most likely outside London, as well as evaluating new machines on the market as his company seeks to further expand. Notable new entrants in the bitcoin ATM manufacturing space include CoinOutlet, which launched its two-way machines this month, priced at a relatively low $8,000 each, undercutting Robocoin’s units by nearly 50%. The traditional ATM sector has also taken notice of the growing business for cryptocurrency ATMs, with the ATM Industry Association issuing an official position paper on 4th September calling for greater oversight and regulation of bitcoin ATMs and their operators. Last November, the first bitcoin ATM, a machine in Vancouver, made headlines when its operator Bitcoiniacs reported that it had completed more than C$1m (US$910,000) in transactions within a month of its launch. Since then, the bitcoin ATM space has grown significantly, as both manufacturers and operators continue to emerge.